Breakfast is the most important meal of the day. It gets your body going and gives you energy to get your day started. During the week breakfast is usually cereal, toast, oatmeal, a bagel, or a smoothie. But come the weekend, breakfast gets to be a bit fancier. On Sundays Erik and I usually make either French toast or pancakes for breakfast (okay, and also occasionally crepes or waffles, but they’re not relevant to this post). One day we had the genius idea – what would happen if we combined them in to one mega-breakfast food? And thus, Francakes were born. A wonderful combination of French toast and pancakes. Light and fluffy like a pancake, yet cinnamon-y like French toast. 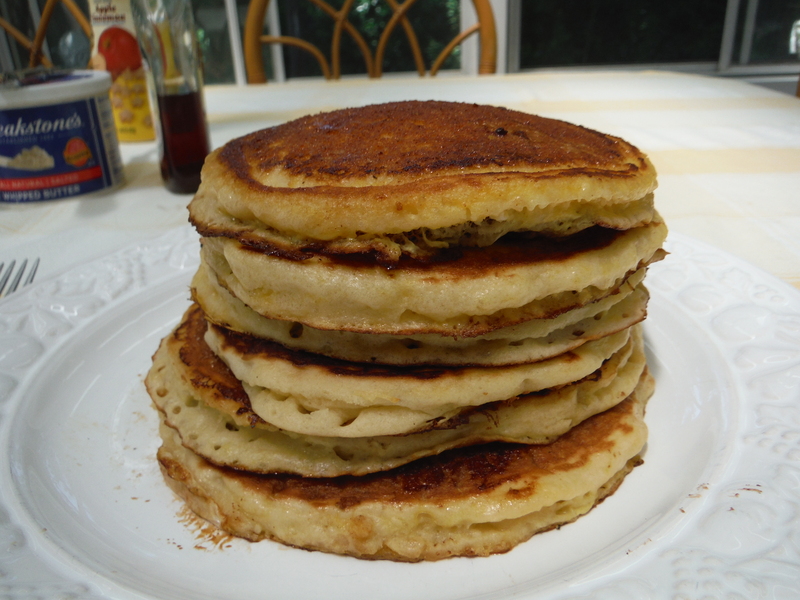 The best part is if you know how to make French toast (which you should), and how to make pancakes, you can most certainly easily make Francakes. Follow me to learn how. 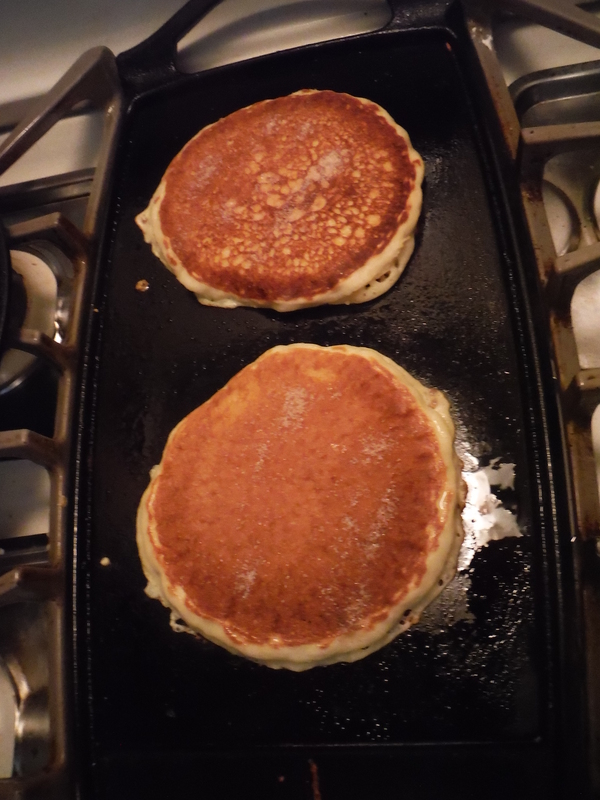 Make the pancake batter and cook according to usual directions. Make sure to not get them too brown, since they will be being cooked again. As soon as they’re done cooking, poke them with a fork. This will open up channels to allow better absorption of the French toast custard. 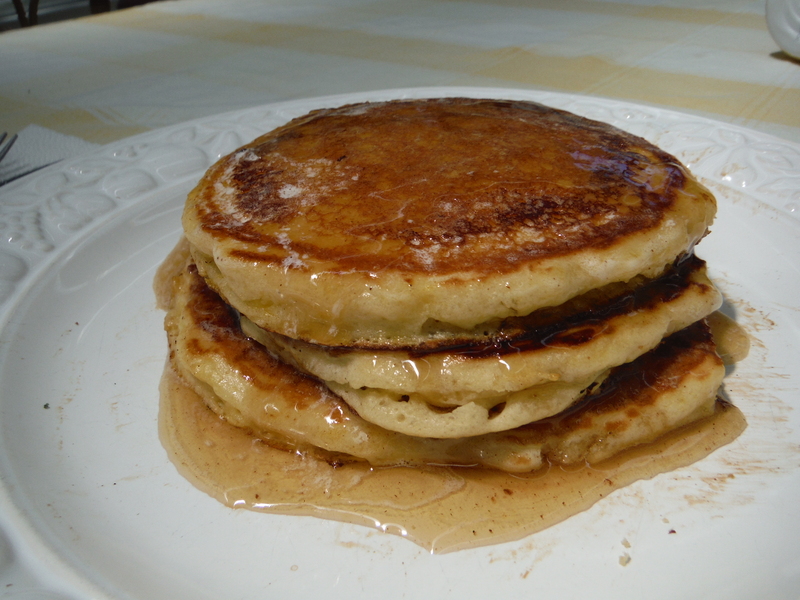 Once all your pancakes are cooked, in a shallow bowl, combine the milk, eggs, vanilla and sugar. 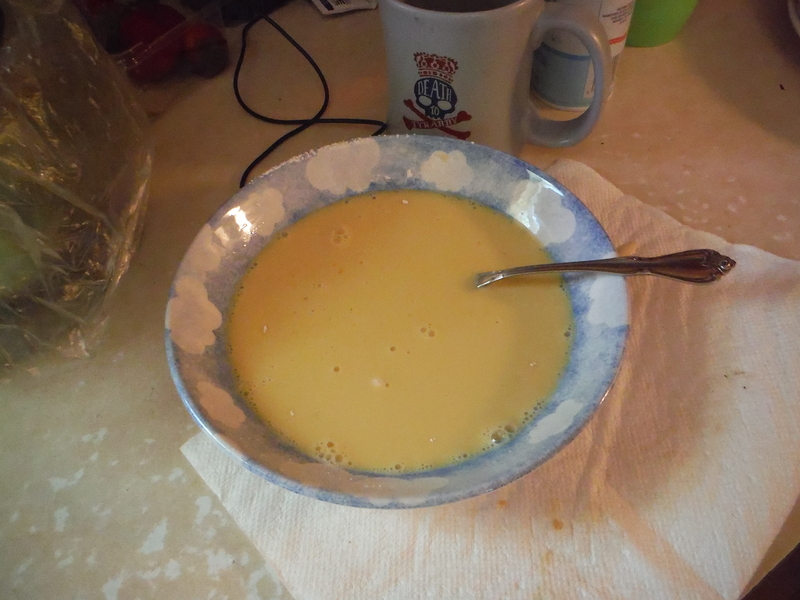 While for regular French toast the milk and eggs are done in separate bowls, for francakes they’re combined into one. 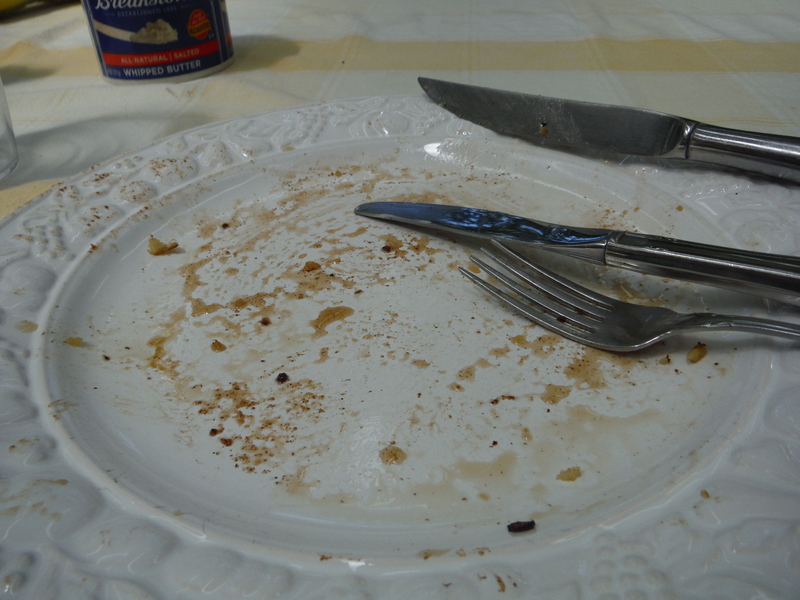 From this point on it’s pretty much straight French toast procedure. 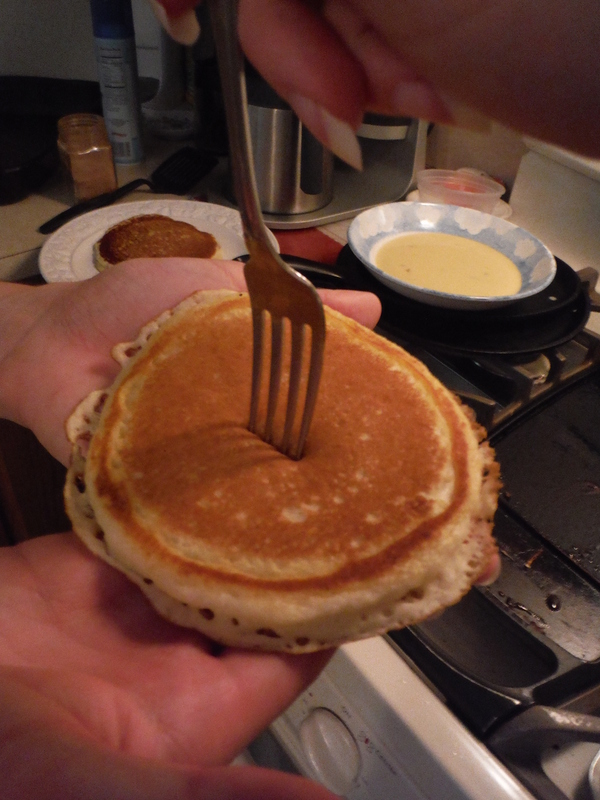 Dip both sides of the pancake in the custard mixture. Place on a hot griddle or pan and sprinkle with cinnamon sugar. Cook for about a minute, then flip, and sprinkle the other side with cinnamon sugar. Cook another minute, then flip and cook for another few seconds, long enough to melt the cinnamon sugar. Stack on a plate, slather with butter and maple syrup, and enjoy the wonders of this Franken-breakfast. Your brain may be slightly confused – “Hey, this tastes like French toast, but it feels like pancakes in my mouth!” But your taste buds will be delighted. 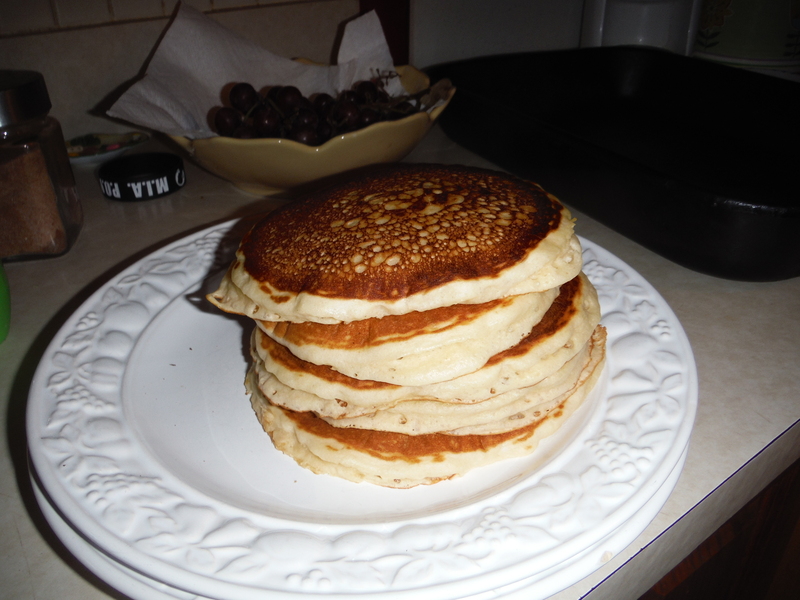 Posted on September 5, 2014, in We Can Do It Better and tagged breakfast, brunch, cinnamon, crazy crossovers, Delicious, french toast, It's a winning combination, pancakes, recipes, yummy. Bookmark the permalink. 2 Comments. Some might say ‘just make cinnamon pancakes’ but nah, it doesn’t have the same flavor. These have that sweet, fluffy taste that only french toast possesses.